Where did the card fusion go? Thinking about deleting. I have to many duplicate cards. Fusion was the best. What happened to card fusion? That was a good feature. If you like apps that crash frequently, and have features being disabled by the publisher because they don’t work properly, then this is the app for you! 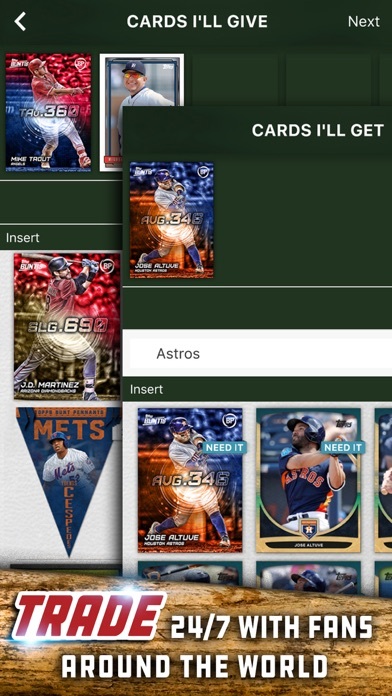 This app started having frequent crashing errors months ago, and Topps hasn’t done anything to properly fix it. Furthermore, they actually had to disable certain features in the game because they were causing users to lose cards. However, their ability to collect money via selling the diamonds necessary to open certain packs of cards doesn’t seem to be affected in the least. 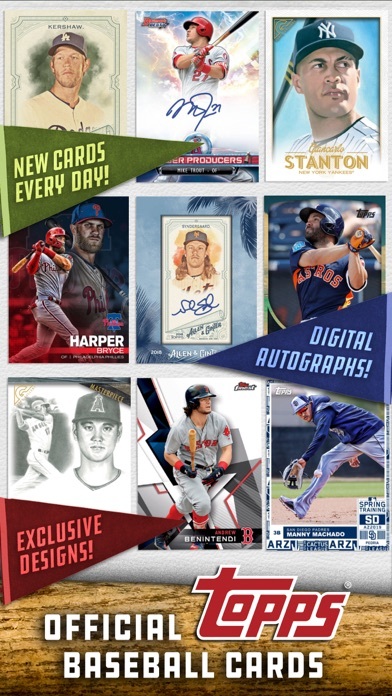 Luckily for Topps, they have an MLB-approved monopoly, so they have very little to actually worry about. 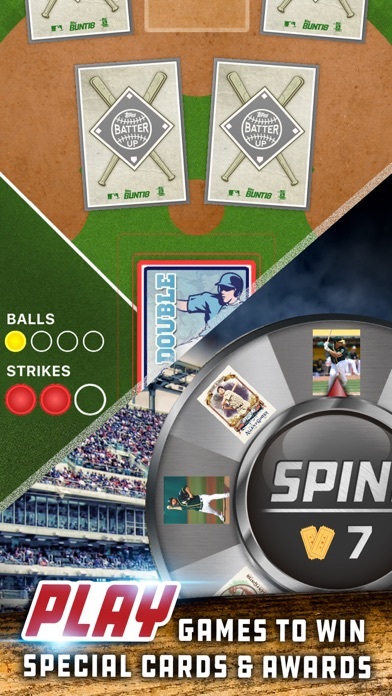 If you want to collect digital baseball cards and/or use them to play games, this is literally the only game in the US. Isn’t capitalism wicked awesome! I've played BUNT for a a few years now, and while it's a fun companion to collecting physical cards, I don't think I'll ever stop buying physical packs as long as BUNT is the way it is. The app can be weird sometimes and has odd glitches that make me worry sometimes for my digital collection. I've never spent real money in the app, and I've never really placed well in the daily contests that drive the hard to get cards, there is somewhat of a connection, if you're buying the premium packs you'll end up with better cards with better multipliers, this is kinda frustrating, but they've gotten better at helping f2p players by constantly giving you free packs to help fill out base sets, which is nice, but doesnt help win contests. 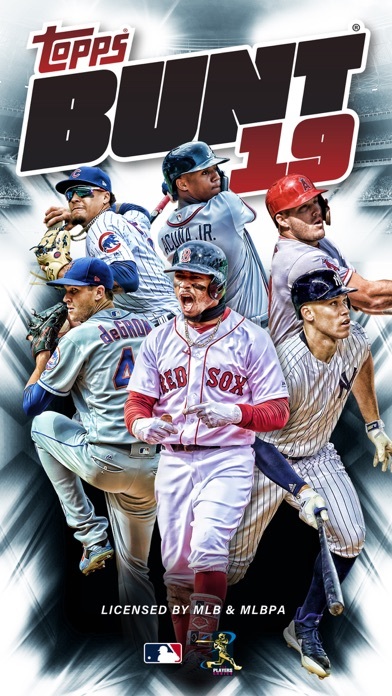 I'd recommend BUNT to anyone looking for a nice baseball related distraction, if you want to get into collecting digitally, go for it, it seems like it'd be worth it if you are into that, but for me, it's just not all there, and I dont know if it ever will be. Man I’ve been with y’all since 2012, I absolutely love this app. I get on it every single day and y’all just don’t know how to disappoint me! Thank you all so much for even allowing this app to be real. Sure as hell saves me real money on real boxes for sure! Haha! Thank you guys so much! You would think an app would get better with age. Each year this one gets worse. I’m done wasting my time with it. I like the app but very hard to collect good cards. Have spent over 1000000 in coins and have gotten very few good cards. 2019 has started out to be a good year. 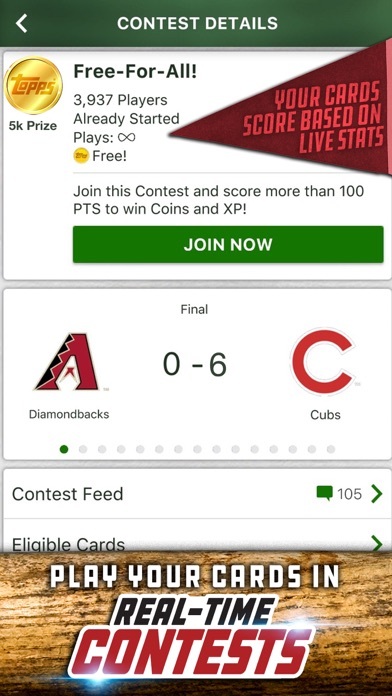 Still can’t get the real good cards because I do not stay on the app all day. Wish they had a way to let you know when a card has sold out. Could save a lot of coins. Other than that cards look good.